Bring sunshine and happiness to someone's special day with this bright and colorful birthday cookie bouquet. Cookies by Design Pleasanton CA creates delicious cookie gifts that are fresh baked right in our bakery and delivered daily. 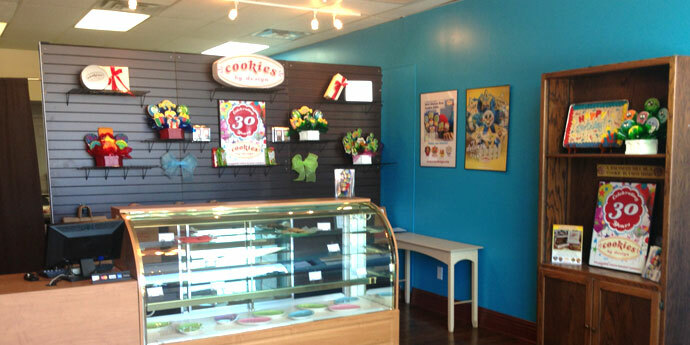 Our cookie bouquets are handmade and decorated in the store with special designs for nearly every occasion. Whether you’re celebrating a birthday, graduation, retirement, or just saying "get well soon", we offer a wide selection so you can say it with cookies. This location takes orders online, by phone, and in person. Our cookie experts are here to help you craft the perfect cookie for your celebration or gift giving needs! 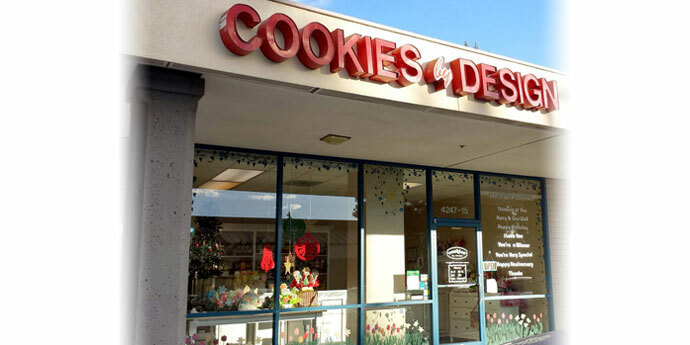 Stop in our Pleasanton bakery located on Rosewood Drive in the Rose Pavilion Shopping Center and catch the aroma of fresh baked gourmet cookies, cupcakes and treats. Grab a treat for yourself or have a gift basket delivered to a loved one. We offer cookie delivery to Alameda, Contra Costa, Santa Clara and most of San Mateo counties, including many big tech companies such as Google and Ebay and most major hospitals in the area. Same day delivery is available in most areas.